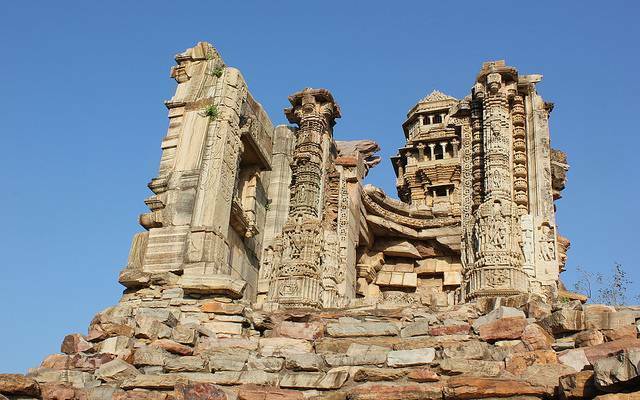 Chittorgarh or Chittorgarh Fort is not just a glorious bastion but a legendary form of tale itself. About 300 feet tall and hovering over a region of 700 acres, it’s not just the sheer expanse that baffles one but the extensive history about pride, honor, justice and sacrifice. The largest fortress in India, Chittorgarh was raised by the Mauryans in the 7th Century. It was later led by the Sisodias, and remained as a capital of Mewar for 8 centuries. Chittorgarh fort has a collection of temples, palaces and two prominent towers that are distinctively visible even from far off. The fort has seven gates from where one can enter the grand structure. There are two towers namely Vijay Stamb and the Kirti Stamb which were built to commemorate victory over Mahmud Shah I Khalji and as a token of appreciation to first Jain teacher respectively. During this comprehensive rule of the Sisodia descendants, the Fort came under blockades for 3 times. The first siege occurred in 1303 by Al ud din Khilji, the Sultan of Delhi; the second siege was initiated by Bahadur Shah who was then a Sultan of Gujarat in 1535 and the final cordon was carried out by the Mughal Emperor Akbar in 1567 who wanted to inflate his power by conquering the north western part of the country. Chittorgarh fort has 7 entrances, 20 water reservoirs (out of the 85 which existed in the past), 4 palaces and 4 memorials with small 7 structures and 19 major shrines (out of 130 temples) which were established approximately between the 7th Century and 15th Century. There is a Jauhar Mela celebrated every year, to commemorate the sacrifice of Rani Padmini and the Rajput women during the blockade of 1303. Chittorgarh Fort thus is an intense amalgamation of romance and battles, where blood was literally splattered for both love and revenge. A traveler shouldn’t miss out this larger-than-life imperial World Heritage Site, it’s a worth a page in your travel journal.